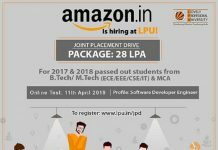 Home Placements 610 LPU Students Selected By Cognizant In 1 Day! 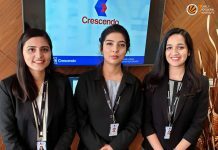 610 LPU Students Selected By Cognizant In 1 Day! Lovely Professional University has broken all its previous records with respect to placements during this session. 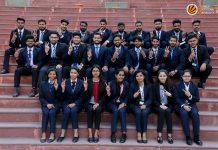 This year, LPU has set record in North India with largest number of 610 engineering students’ got recruited by a single company, in a single day, on the single campus. Cognizant Technologies- leading IT Company visited the campus twice in a row within a span of nine months. In addition, international placements by Ritz Carlton Hotel USA, Qatar Airways Doha & Al Rakha Group Dubai at allowance up to Rs 22 Lakh also made LPU to clog up one of the highest placement packages’ record in the region. Other top salary offering companies remained Practo Technologies (Rs 7 Lakh), Josh Technologies (Rs 6 Lakh), LG Soft (Rs 5.5 Lakh) and more. In term of placement drives, about 200 placement drives were made by top brands including 100+ drives for technology & sciences’ students and 60 for business administration students. Under these drives, 2000+ LPU students have got placements in all sectors including Management, IT, Engineering, Banking, Agriculture, Consultancy, Architecture, Pharmaceuticals and more. Various campus placement drives made by different globally giant companies include Cognizant, Amdocs, HCL Technologies, Vodafone, LG Soft, Ericsson, Asian Paints, Verizon Data Service, Tavant Technologies, I Gate, Infosys, IBM, ERA Infra Engineering, Madura Fashion and Lifestyle, Redington India, Rockman Industries, Sandhar Technologies, Simplex Infrastructures, Zenesis Agro and more. Though companies from multiple sectors have recruited LPU students but the top sector to recruit largest number of LPU students again remained CSE/ IT. By recruiting 610 students in a single drive, IT giant Cognizant remained the top recruiter across all the sectors and clusters. LPU Chancellor Mr Ashok Mittal shares: “This year again LPU students have been offered international and national placements by top recruiters from USA, Dubai and various super global brands. The successful ongoing recruitment cycle for the batch graduating in the end of May 2015 is a strong testament to the high quality of LPU students. We are also satisfied to see that maximum of LPU students have got jobs in metros including New Delhi, Mumbai, Bangalore, Chennai, and Hyderabad.” Mr Mittal added: “The robust nature of LPU placement processes provides adequate flexibility to both students and recruiters. I would like to share that as a part of the corporate social responsibility, we also keep on inviting students from other colleges and universities for joint placement drives to provide students of this region chances of employment along with LPU students.” Although LPU ensures that students ever remain job ready by imparting them training of global standard, yet students are also encouraged to choose entrepreneurship as a career. This year, many students were seen opting out of the placement process to start their own ventures. So, before bringing students and the companies together, LPU students are provided with many services to groom them for enhancing their employability and entrepreneurship values. Industry experts also keep on visiting LPU campus to provide hands on experience on state-of-the-art tools and licensed software. LPU has academic, industrial tie-ups, memberships with Confederation of Indian Industries, NSE, EMC2, YI LPU Net, NHRD, CA Technologies, Cadence, EC Council and more for various awareness and training programs. LPU also has tie-up with Entrepreneurship Development of India to encourage students about other choices they can make in preference to the placements.